Originally published as Sacred Monsters: Behind The Mask Of The Horror Actor in 1996, and under its abridged title in a slightly expanded edition in 2004, this - Doug's only book - remains defiantly in print and still popular. Behind the Mask examines the cultural history of masking including its central importance in theatre, before focussing on masking and transformational make-up in horror movies. In particular, Doug looks at the differing relationships actors have had to their make-up and their make-up artists. Lon Chaney (Senior and Junior), Fredric March, Boris Karloff, Charles Laughton and Vincent Price all feature, alongside Robert Englund, Kane Hodder and the late Gunnar Hansen with each of whom Doug conducted his own interviews for the book. 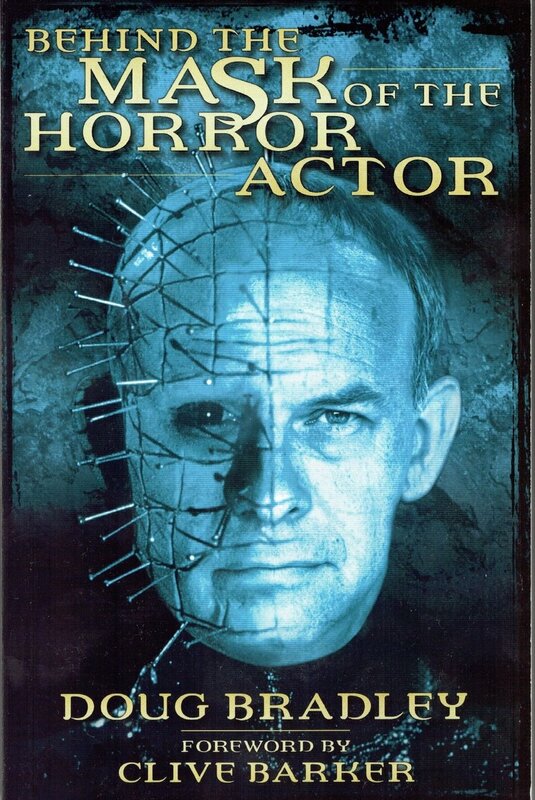 Of course, Doug also gives a detailed account of his own experience of becoming Pinhead and his journey through the eight films in which he played the character, with some other autobiographical content. With a Foreword by Clive Barker. Published by Titan Books. 283 pages. Dedication. Standard dedication is 'Best Wishes'. Indicate here if you would like something different.